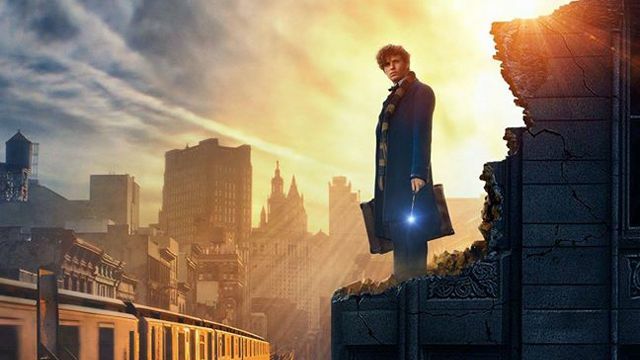 Fantastic Beasts Comic-Con Trailer Revealed! Warner Bros. Pictures‘ has released the official Comic-Con trailer for their highly-anticipated Fantastic Beasts and Where to Find Them. Watch the Fantastic Beasts Comic-Con trailer below! Fantastic Beasts and Where to Find Them stars Eddie Redmayne, Katherine Waterston, Alison Sudol, Ezra Miller, Dan Fogler, Colin Farrell, Jenn Murray, Jon Voight, Carmen Ejogo, Gemma Chan and newcomer Faith Wood-Blagrove. The story opens in 1926 as Newt Scamander has just completed a global excursion to find and document an extraordinary array of magical creatures. Arriving in New York for a brief stopover, he might have come and gone without incident…were it not for a No-Maj (American for Muggle) named Jacob, a misplaced magical case, and the escape of some of Newt’s fantastic beasts, which could spell trouble for both the wizarding and No-Maj worlds. Fantastic Beasts and Where to Find Them is being produced by David Heyman, producer of all eight of the blockbuster Harry Potter features; J.K. Rowling; Steve Kloves, who scripted all but one of the Harry Potter films; and Lionel Wigram, who served as an executive producer on the last four installments of the franchise. Rowling herself is supplying the screenplay. Warner Bros. Pictures has the first Fantastic Beasts and Where to Find Them set for a worldwide release in 3D and IMAX on November 18, 2016.